Madagascar, with its unique and highly endemic flora and fauna, is a world conservation priority. Thirteen species of Carnivora are currently known to exist on the island, ten belonging to the endemic family Eupleridae and with the balance introduced by humans. 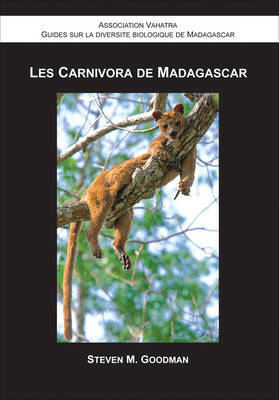 Since the pioneering work carried out on Madagascar's Carnivora in the 1970s, numerous other research projects have been conducted on these animals, and this pocket-sized book provides an up-to-date synthesis of these studies. Written in non-technical French and featuring beautiful illustrations of all Malagasy carnivorans, this is the only recent book in any language that covers the entirety of Madagascar's introduced and endemic Carnivora species. It offers particular insight into Eupleridae. The different species that make up this endemic family all originate from a common ancestor that millions of years ago somehow traversed the Mozambique Channel, colonized the island, and subsequently evolved into the Eupleridae species of today. This book shows that, although Eupleridae display morphological similarities to other Carnivora in the world--such as civets, mongooses, and cats--these similarities are in fact the product of convergent evolution.